Fully scalable & automatic eMQTT & ETCD clusters were deployed at AWS cloud. 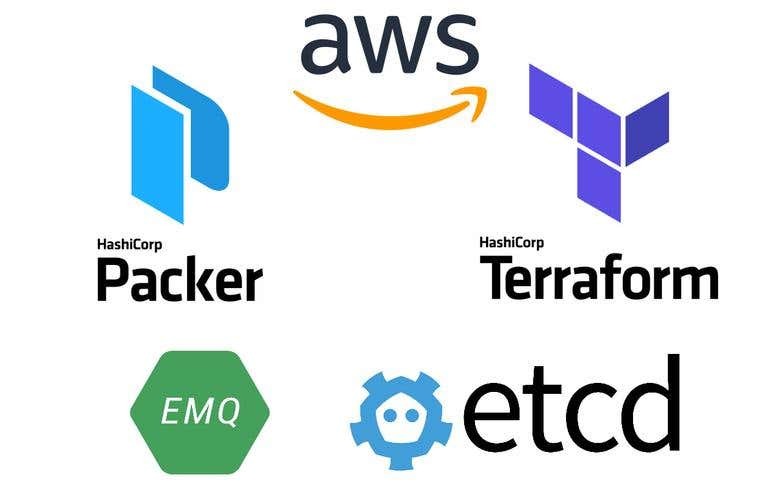 HashiCorp's Packer was used to build AMIs & Terraform was used as Infrastructure-as-Code (IaS) tool. Necessary scripting was done to monitor & detect changes in clusters and orchestrate them without any human intervention.